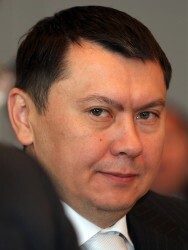 Rakhat Aliyev, the former son-in-law of President Nursultan Nazarbayev, is supposed to have hanged himself in his cell. Aliyev sat in Vienna-Josefstadt in custody for allegedly killing two bankers in his homeland Kazakhstan. Today he would have to testify against alleged blackmailers. 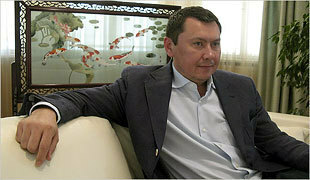 Rakhat Aliyev, ex-son-in-law of Kazakhstan's President Nursultan Nazarbayev, has been arrested in Vienna. Aliyev, who has been convicted in absentia in Kazakhstan on charges ranging from kidnapping and embezzlement to plotting a coup against Nazarbayev, has been detained because of a murder investigation against him, which has been opened in 2011.